The Miami Dolphins won the biggest game of their season on Sunday. It was a win that they desperately needed and one that keeps their playoff hopes alive. In fact, the Dolphins over the Chargers, combined with some other results, catapulted them into a tie for the 6th seed in the AFC, with the Jets. The Dolphins didn’t exactly make it look easy against the Chargers, but they held on to pick up a win that could turn their season around. In the midst of the bullying story, this win showed that this team intends to fight, scratch, and claw to the very end. 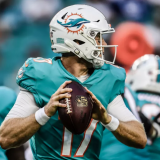 – Ryan Tannehill – Tannehill put together a decent, but not spectacular performance on Sunday. He threw an ugly pick and his deep ball to Mike Wallace still needs a lot of work. BUT, he rebounded from the early interception and made the plays he needed to make. 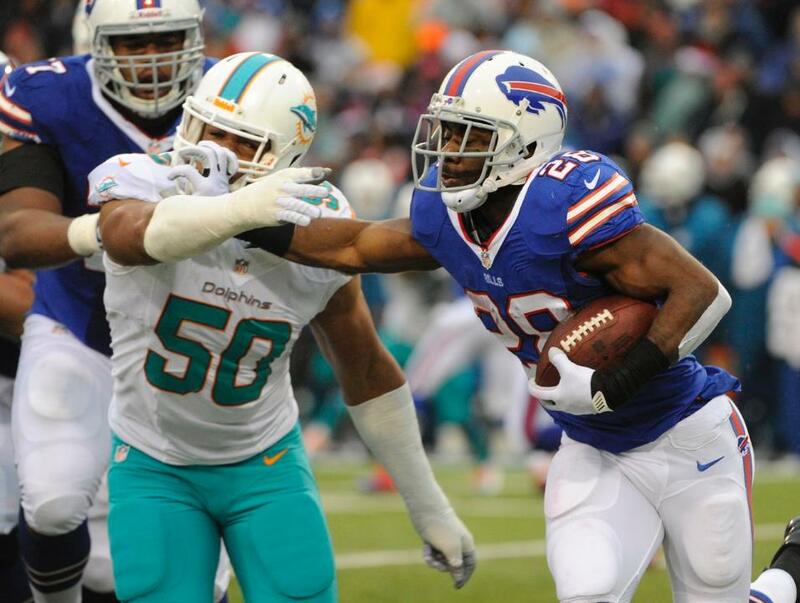 – Charles Clay – Clay has filled in nicely for Dustin Keller and his touchdown on Sunday showed that he is a threat to run after be catches the ball. – Daniel Thomas – Was it a great performance? Do I like him? No. But, Thomas should be commended for a solid effort on Sunday. He gained some big chunks of yards on the ground when the Dolphins really needed them. 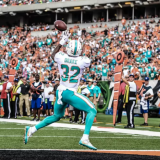 – Brent Grimes – Every week I watch this guy and every week he makes a big play. None was bigger than his “KNOCK IT DOWN” pass defense at the end of the game. Dolphins should seriously think abou extending his contract….soon. 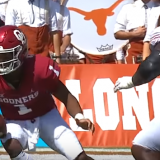 – Offensive line – Were they great? No. But they did the one thing they needed to do: They kept Tannehill alive. The OLine gave up 4 sacks, which isn’t good. But considering the team had 3 starters out and it could’ve been a lot worse. They played better than I expected. – Tannehill to Wallace – It’s game 10 and these two still can’t get on the same page. Wallace had his man beat by 3-4 yards and Tannehill woefully underthrew him. On other plays, Wallace looks like he’s running the wrong route. GET IT TOGETHER!!! – Run Defense – I’m so tired of hearing about how the Dolphins strength is their defensive line. I’m sorry, but this defensive line has been gashed by opponents’ in games this season. STEP UP!!! – Brian Hartline – Yes, he had an okay game. But, he also had 2 big drops which could’ve contributed to a loss. Hartline makes his money by being dependable. 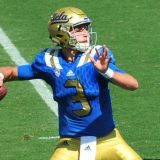 If he’s dropping passes and not creating separation, he’s not being dependable. Overall, I thought the Dolphins played better than last week’s ugly performance. While the game was going on I was frustrated by the Dolphins defense because it seemed like they couldn’t get off the field. Yet, when I look back on the game as a whole, the Dolphins defense bent, but didn’t break. They allowed an early touchdown, but only a total of 3 field goals the rest of the way. Great job by them and a good job by the Dolphins coaches for figuring out how to run the ball effectively. I also want to give some credit to Mike Sherman, who I’ve been hard on. Sherman didnt sit pat with a 1 or 4 point lead, be was aggressive. I liked that. I wish that be would run the ball more, earlier in the game…but I’ll take what I can get!